Last Sunday in Route 54 we kicked off a series on the Armor of God by talking about the Helmet of Salvation. 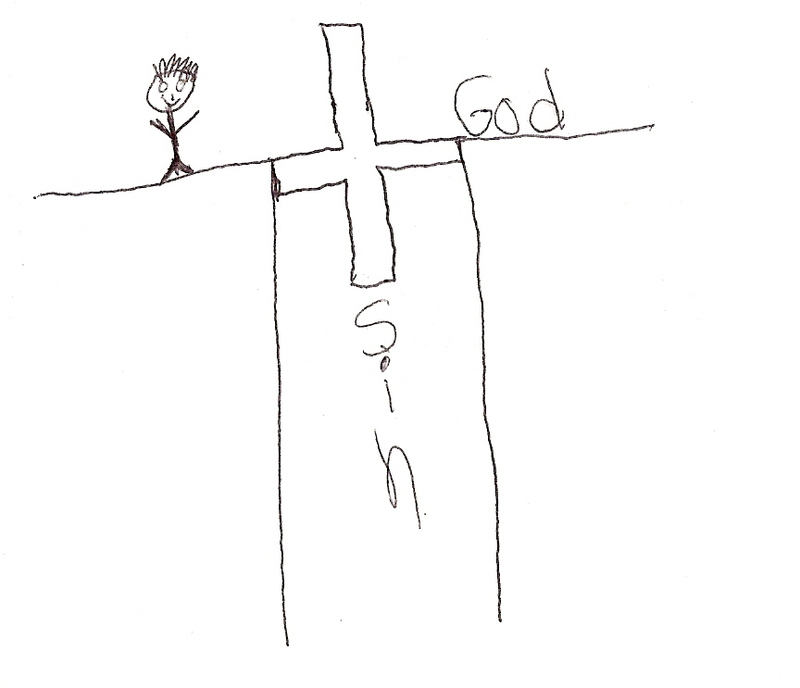 One of the tools we use when teaching the 4th and 5th graders about salvation is the bridge illustration. If you’re not familiar with it, you can check it out here. 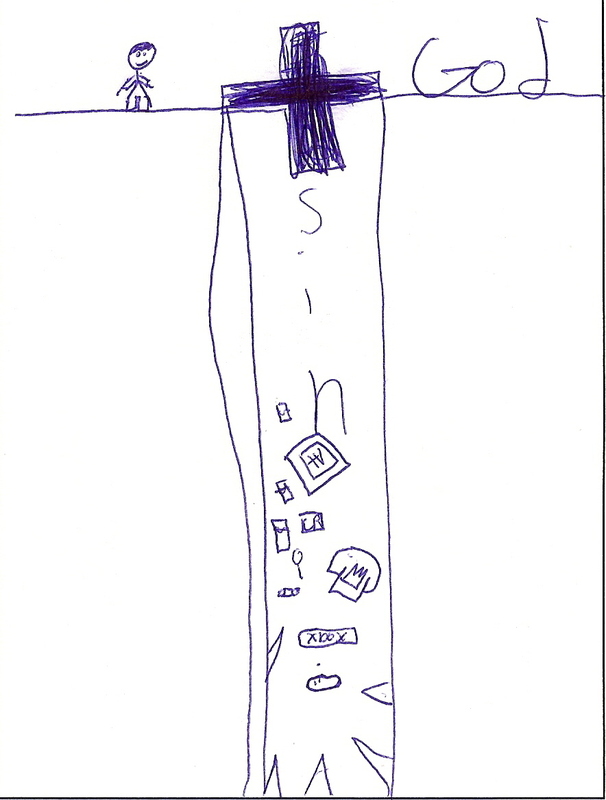 It’s a simple way for kids to visualize what Christ has done for us. It’s also a great way for them to tell their friends about Jesus. I thought you guys might like to see a few of the illustrations they created. 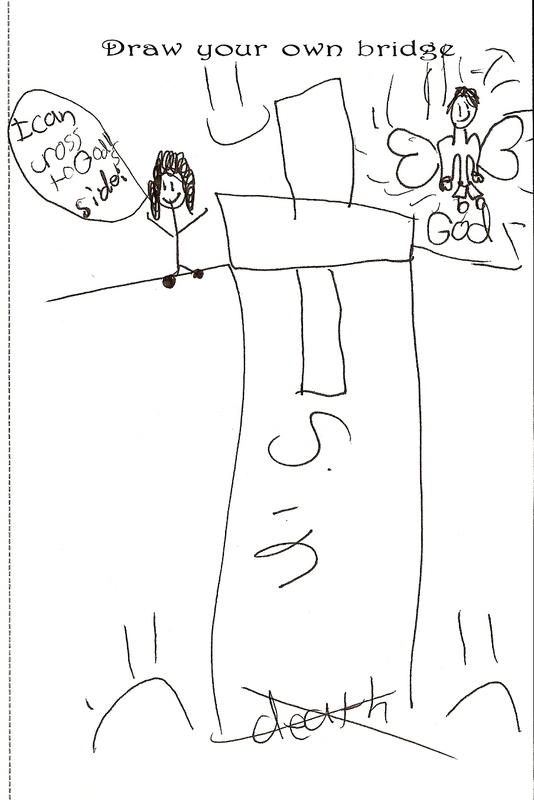 I liked this one because the child identified some things that he has put ahead of God. I liked this one for its simplicity. Sin separates us from God. Jesus fixed the problem when He died on the cross. I liked this last one because it reminds me of something I would have drawn at that age … word bubbles and smiley faces. If you ever have questions about what the kids are doing on Sunday mornings you can contact me at jholsted@fellowhsipnorth.net.